A virtual box is one among many virtual servers products to choose from . Go to virtualbox.org then select th appropriate link to download the current version of the virtualBox. Save the downloaded file on a location on your local drive. I the set up program on the welcome page , select next. On the custom setup page, select next if you wanted the program installed in an alternate location, browse to and select the desired location before selecting next. With all options selected, select Next again to create a short and register file association. On the warning page select Next. If prompted to install additional items, select install. How to create a virtual Machine in VirtuaBox. 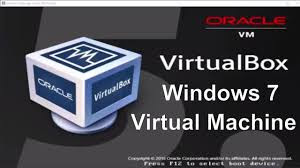 From the desktop, select the oracle Vm virtual Box shortcut open the oracle VN virtualBox manager. In the create virtual machine dialog box, in the name text box, type in the name to assign the virtual machine. From the type drop down list, select the type of operating system the guest will use. From the version drop down list, select the appropriate version of the operating system. On memory size page , accept the default or adjust the amount of memory the guest operating system will be allocated .the recommended size will be selected. On the hard drive page , with create a virtual hard drive now selected, select create. On the hard drive file type, with bare-metal hypervisors are also known as native or type 1 hypervisor. VDI selected select next. If you need to use different hard drive type, select the appropriate drive type before selecting next. On the storage 0 physical hard drive page with dynamically allocated selected, select next. On the file location and size page, accept or change the default settings, and then select create. How to install an operating system on a virtualbox virtual machine. In the oracle VM virtualbox manager, after creating a virtual machine, select the vrtual machine. In the vm machine name settings dialog box select hared folders. Select the adds a new shared folder definition button. In the Add Share dialog box, select th folder path and browse to and select the appropriate location where the installation files resides, then select Ok.
With the virtual machine selected, select start. In the select start up disk dialog box, select start. I hope you enjoy this tutorial, please take your time and share with your friends. You might also like to read a tutorial on how to create A VM on a window 7 computer.